also see below for our custom filter mount to save you time. Call Brian at (563)488-4281 or visit his Dealer page or become a dealer and sell these too. 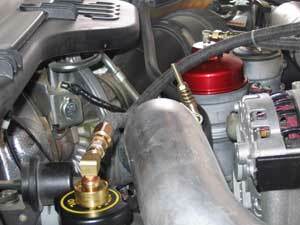 I used the Oil Guard Full Flow Filter Cap and used my factory oil fill cap. I made a bracket that attached to my alternator mounting bolts. It is very solid and makes it easy to draw a sample for oil testing. It is also easy to change the filter. 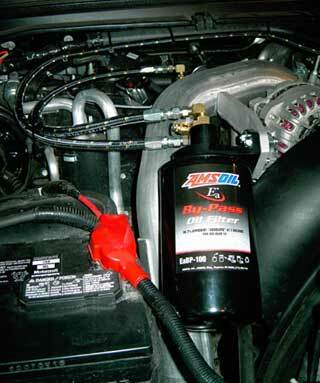 I put in AMSOIL Series 3000 5W-30 HDD oil and will be planning on doing the extended drains with oil analysis. Call me anytime for help regarding the AMSOIL Bypass. More Bypass brackets we now offer. Call 800-579-0580 for yours. Ambulance Service Saves Money, Reduces Maintenance!! Our ambulance service decided to give AMSOIL Synthetic 15W-40 Heavy Duty Diesel, the Series 3000 5W-30 Diesel Oil (HDD) and Synthetic (ATF) a try to “see how well they would work" and if they could live up to their reputation. We changed a total of 85 injectors on the ambulances. That's four injectors per month per unit!! That's using 15W-40 Rotella motor oil at 5,000 to 8,000 mile oil drains. We put an average of 100,000 to 115,000 miles a year on these ambulances. Two 2006 models have more than 250,000 miles. Our ambulances run for three or four days without shutoff in real hot or cold weather. 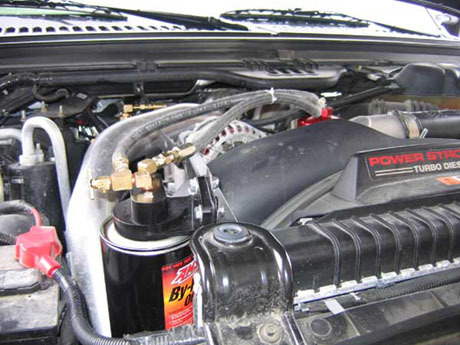 The company now changes the oil in the vehicles at 20,000 miles. 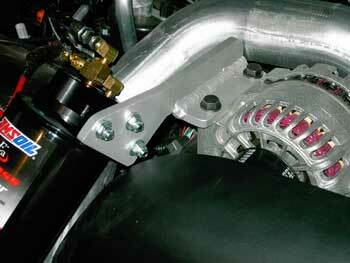 The EGR valves have not had to be changed and only two injectors required changing in the past 10 months. I do not miss sleeping on the couch in the garage from changing injectors! Dustin Larkin - Chief mechanic - Benton, Ill.
Take a look at the HDD 5W30 Diesel we recommend with this unit. Need a dealer in Ohio?